It's almost Valentine's day! I always love making cards and putting together goody bags for everybody! I thought it would be fun to take that creativity and put it into something that lasts longer than chocolate kisses or paper cards. 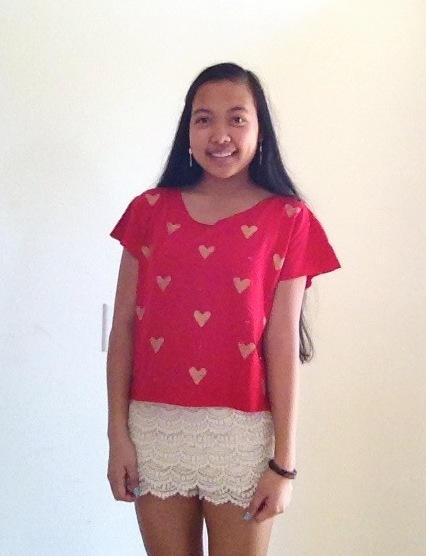 To get into the holiday spirit, here's an adorable shirt that you can make for yourself or for a friend! 1.) 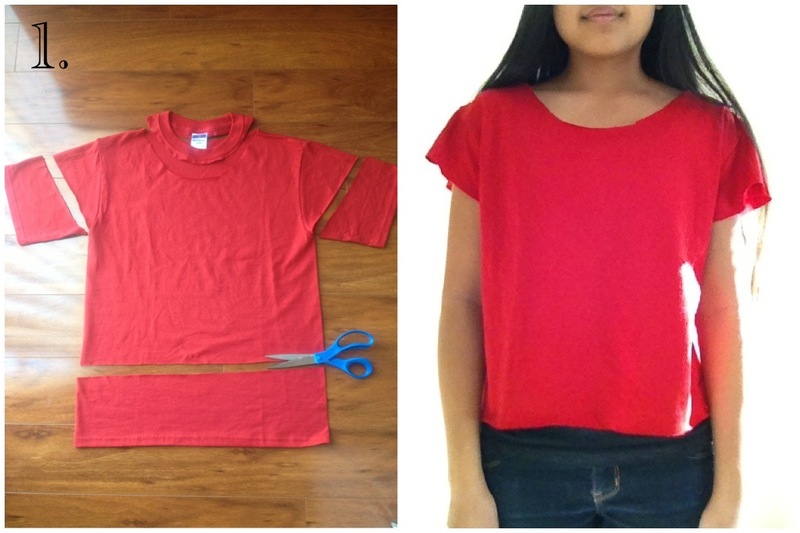 Cut off the collar of the shirt and shorten the length of the sleeves and of the actual shirt. 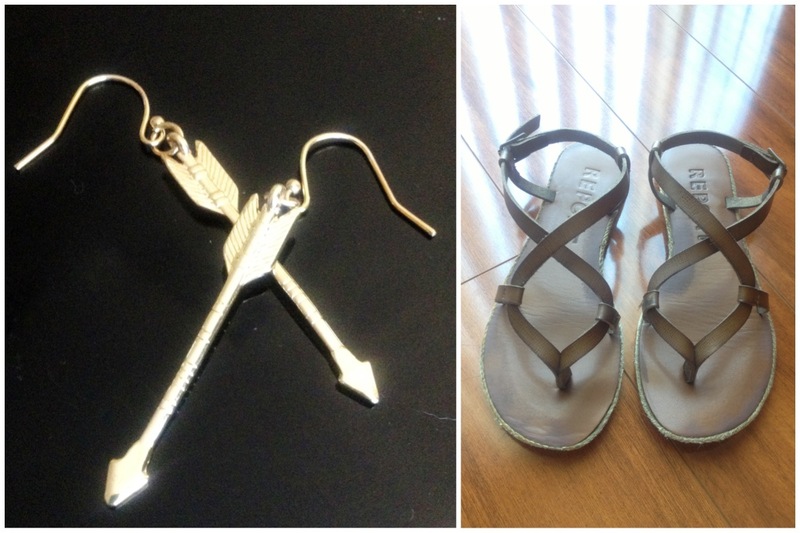 The picture on the right is how mine looks after cutting, but you can cut it to whatever length you want. 2.) Cut a small square from one of the sheets of card stock. 3.) 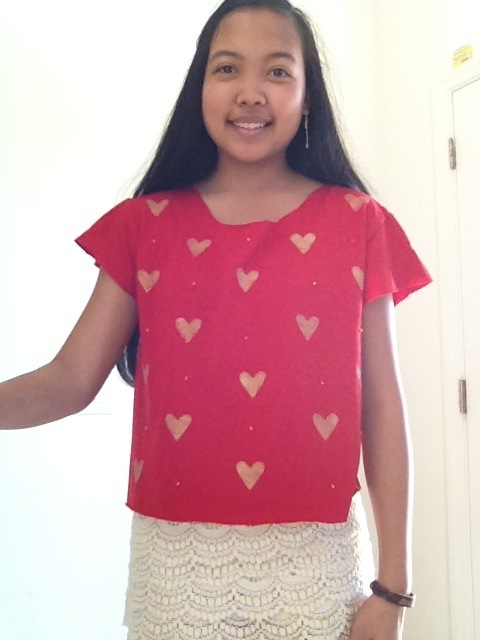 Fold the square and cut into a heart shape. This will be your stencil. 4.) 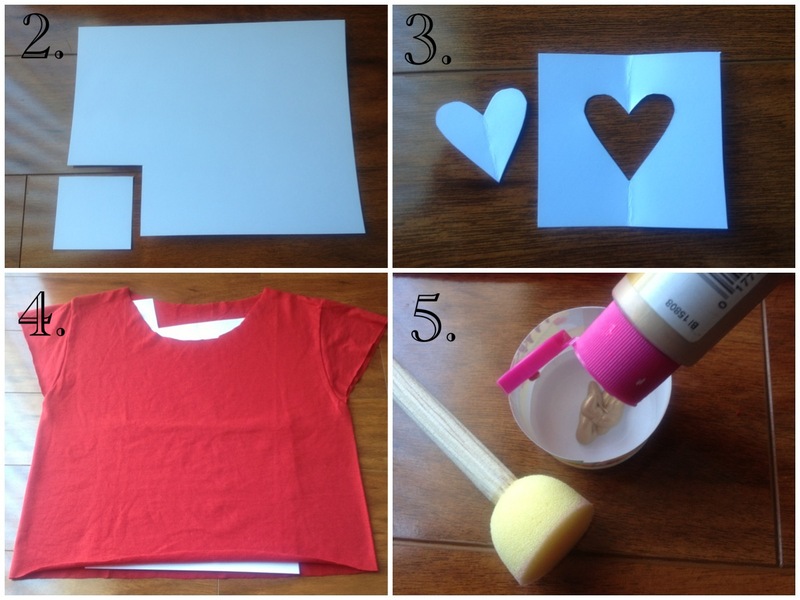 Lay out your shirt and place the remaining sheets of card stock inside the shirt. This keeps the paint from seeping into the back of the shirt. 5.) Squirt out your paint into a small container. You could also squirt it onto piece of paper instead. 6.) Dip your sponge brush into the paint and scrape off the excess so that there is just a thin layer of paint. 7.) 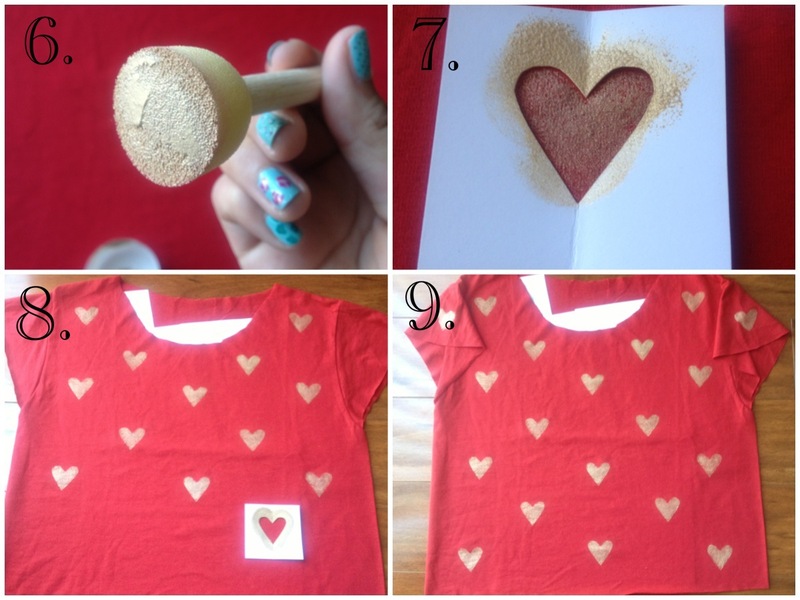 Place your stencil where you want the heart to go and stamp the paint on with your brush. Make sure you hold the stencil down so that it doesn't move and mess up the design. 8.) Paint the rest of your hearts using the same method. 9.) Let dry for at least 45 minutes to an hour. It doesn't take that long, especially because we are only using a small amount of paint. 10.) Thread your needle as shown and gather your beads. I used 15 beads. 11.) 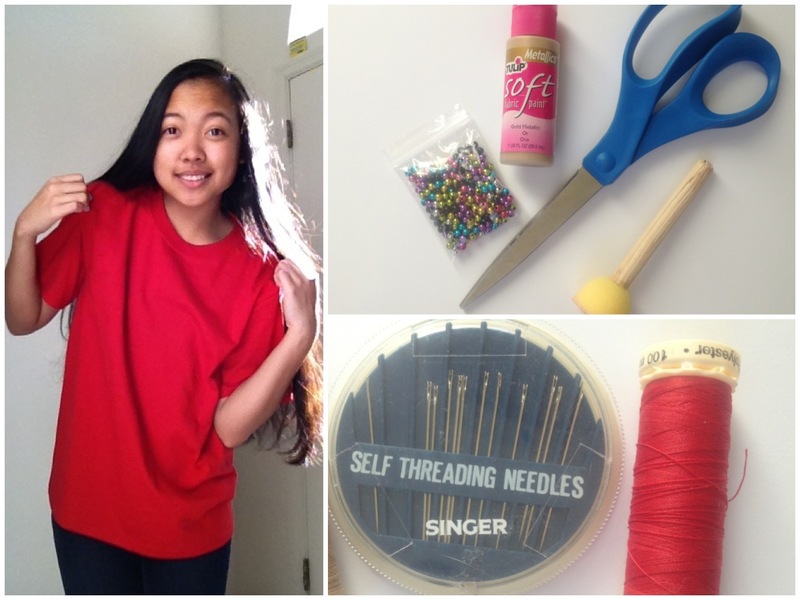 Poke your needle through the shirt where you want your bead to go. Thread on one of the beads. 12.) Sew it on and go back through a couple times to make sure it is secure. Knot it in the back and cut the excess thread. 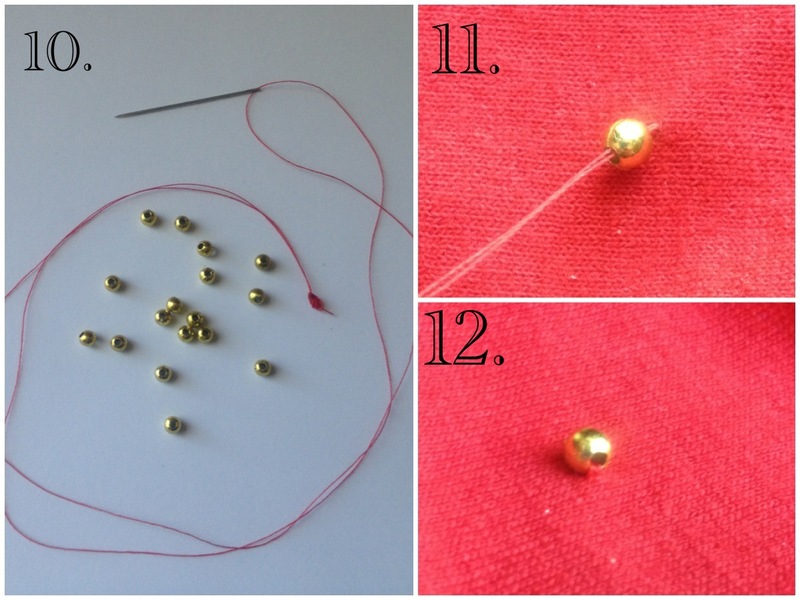 You will need to sew each bead individually, using this method.